Earn, Save & Live Smart. Cut Spending by $400 a Month! Have you ever read a blog and wondered how the writer could possibly make money doing this? A few years ago, I decided to find out and began a blog of my own. It turned out to be a profitable whim, as blogging is now my main job, one I can do anywhere. I’ve blogged waiting for my son to get out of school, while my kids play at the park, even drinking coffee in my pajamas. You can, too. I wrote an article before about how to start a blog the easy way, but realized that a longer post was in order. With that in mind, I present to you the Ultimate Guide to Making Money from Blogging. Since this is quite a long read, here are anchor links to help you jump to sections that interest you. You can also choose to read this article chronologically. SEO: What Is It and How Can It Help Me? Before you can make money as a blogger, you need a blog. First, you need to decide how you’re going to host your job (we’ll get to what this means in a moment) before you register your domain name and pick a host for your blog. Once you’ve done all this, you can customize your blog with themes. I know this all sounds a bit overwhelming and confusing, so let’s break it down. What Kind of Host Should I Pick? Free Blog: If you’re strapped for cash going into this venture, a free blog program such as WordPress or Blogger may be right for you. Shout Me Loud (@shoutmeloud) compares these two major free blog sites here. Self-Hosted Blog: This is the option I went for when I started out. It’s less of a hassle to change things later on if you need to and it looks much more professional. Although there is, of course, a cost to having your site hosted, it doesn’t have to be a large one. BlogTyrant (@BlogTyrant) offers an in-depth look at the world of self-hosted blogging here. If you decide to move hosts, your domain will go with you. Any followers to your site would not have to be informed of the move, as the address to your site remains the same. Getting your blog sponsored (which we will discuss more later) is easier with a registered domain, as sponsoring companies are more likely to take you seriously. Your domain name can make it easier for people to find you. It’s best to pick a domain name that is relevant to what you plan to use your blog for. For example, if you plan to focus on discussing your favorite hobby, “www.yourfavoritehobby.com” would be a good starting point. However, if you’re not sure you’ll stick to just one topic, like woodworking or baking, you may not want such a one-dimensional domain name. Many bloggers choose to use their names or a phrase or other less limiting domain name, instead. Be sure to have a few backups in mind, as the name you want may not be available. Once you’ve done that, you will need to make your payment to your host site (assuming your host site is not a free one, as discussed above). You can do this with most major credit cards or PayPal. Don’t be afraid to compare several hosting sites; this will be your blog’s home and you need to make sure you can do all the things you want to do with it through the host you pick. Once you’ve settled on a host site, complete the signup according to the steps on the site, and then you can begin to customize your blog. You want your blog to stick out, to be engaging, and to look nice. How you customize your blog will go a long way towards helping with those goals. You don’t need experience in web designing to do this, either: your chosen host site will usually offer themes, many of them free, for you to use with your site. For Dummies (@ForDummies) has a breakdown of what to focus on and how to make it work for you here. The good news is, your blog is now set up. The bad news is, that was the easy part. You now have an appropriately named site of your very own, customized to suit your needs…and nothing to put in it. Shoot. You need content, but where do you get the content from? The good news is you don’t need to be a genius or even a very good writer to come up with blogging ideas. You just need to be excited about what you’re writing. Read a lot and read often — books, newspapers, other blogs, whatever you can find to grab your interest. Your next blog post might be one turn of the page or a click of the mouse away. Reach out to your readers — there may be something they’d like to read about. Share your experiences — Some of my best posts have come from things happening in my own life. Choose a topic that interests you. Create an outline of some kind — whether it’s a traditional outline or random scribbling that only makes sense to you. Just organize your initial thoughts for your post. Research your topic. This is a throwback to your high school teachers and the essays they used to assign — research is very important for an accurate, engaging post. Come up with your title. Now would also be a good time to decide on subtitles, if any. After you’ve come up with a topic, done your outline and research, and settled on a title and any applicable subtitles, you can begin writing. I usually just let the words flow and go back to edit it once I feel the post is complete. Be sure to use your images legally. Just because a picture is on the Internet does not mean you have the right to use it as your own. Look for stock photos and other legal to use images on sites such as Pixabay. It’s also important to make sure the images you use are relevant to your post. A picture of a cat with a cheeseburger probably doesn’t belong in a post about how to plan a trip to Italy. We’ve learned how to host our site, set our blog up, and written our first post, complete with images. We are in business. Sort of. Your audience won’t just flock to you; you need to get your blog out there to potential readers. One of the best ways to do that is through networking. You can network your blog in a variety of ways, from utilizing social media to leaving comments on other blogs. At this point, almost all of us have some sort of social media account. It shouldn’t surprise you, then, that creating an account for you to use as the face of your blog can help generate traffic and help you gain an audience. 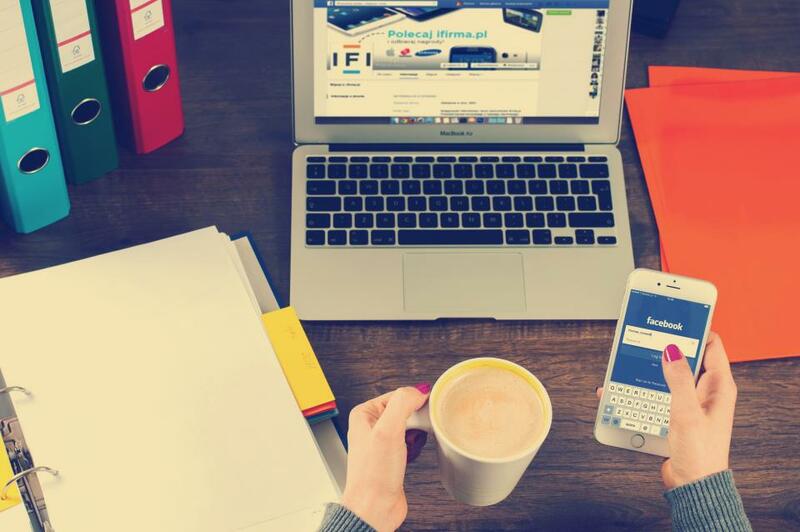 Jeff Goins of GoinsWriter (@GoinsWriter) offers an in-depth look at how to get social media to work for your blog here. Many blogs and websites offer the option, when you leave a comment on a post, to do so using a combination of your own name and your website. WordPress (@WordPress) expands on how this type of interaction can help your blog gain traffic. When I first started out as a writer, I had never heard the term “SEO” before and was thoroughly lost and confused. I knew what a CEO was, and I am somewhat embarrassed to admit I thought SEO might mean something similar. Finally, when I got into freelancing and kept finding the term “SEO compliant,” I knew I had to figure out what that was. Once I did, I began to see why it was so important. We’ll break this section down into two parts: what is SEO, and how can SEO help me? 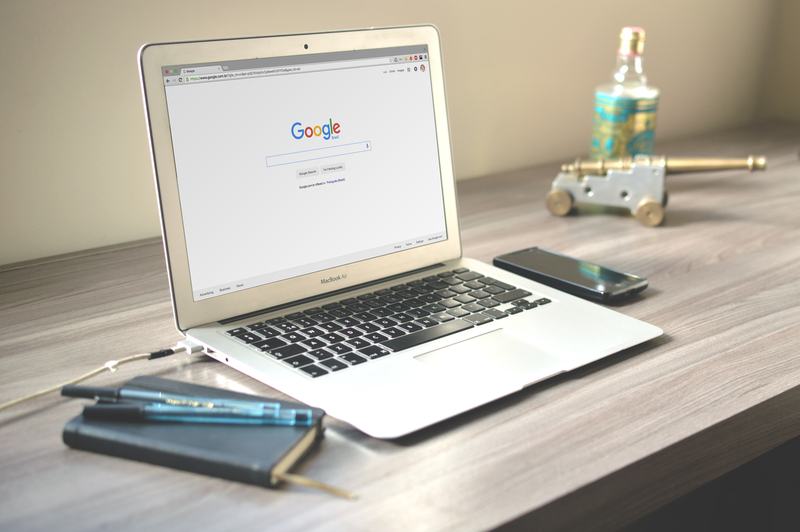 Because Google uses certain words and terms to determine its search engine results, using SEO can bring your blog to the top of a person’s search. How Can SEO Help Me? Research your topic to find keywords. Use your keywords throughout your post in things like titles, subtitles, your introduction sentence, and your concluding paragraph. Link back to other relevant blogs and articles. Using your networking skills and SEO, you should now have built up a following for your blog. You can now focus on using your newfound skills as a blogger to make money. This means you should now begin to think of your blog as a business, which means you need to find some opportunities to put your work out there. We’ve already gone over social media and blogger networking, so here we will discuss publicity opportunities and how to get them. An engaged, relevant audience — a company looking to sell baby items to parents isn’t likely to be interested in a blogger whose main audience is made up of people interested in learning how to knit. Similar brands mentioned elsewhere on your blog. Even if you aren’t being paid to do so, if you find a product relevant to your blogging platform, write about it for this reason. Honesty — if you have written about other similar brands in the past, paid or otherwise, other companies looking at you as a potential blogger to work with want to know that your reviews are honest and true to your experience. Pay Per Click ads. The advertiser will pay you each time someone clicks on their ad. Pop Ups. Although a lot of people dislike them, they are a viable source of income for a blogger. Sell text links. This means, essentially, that someone else will pay you to hyperlink their ads into your post. John Meese (@JohnRMeese) offers further advice on optimizing your revenue streams with digital products such as eBooks, apps or other digital products here, all of which you can easily advertise on your blog. You are now, officially, in business. No, really — you are a business and need to follow certain legal guidelines. This came as quite a shock to me when I first started out. Up until that point, I had worked traditional jobs where most of this was taken care of by my employer and my taxes were fairly straightforward. This can be confusing, so we’ll break it down again. When you work a traditional job, you fill out forms for your employer that allow them to put on the payroll and claim you as a legal employee. When it comes to freelancing, which is what the government will likely consider your blogging business venture, you need to fill out paperwork to claim your income and make your business legal. To get the ball rolling, you need to register as self-employed. This is actually a very straight-forward process. 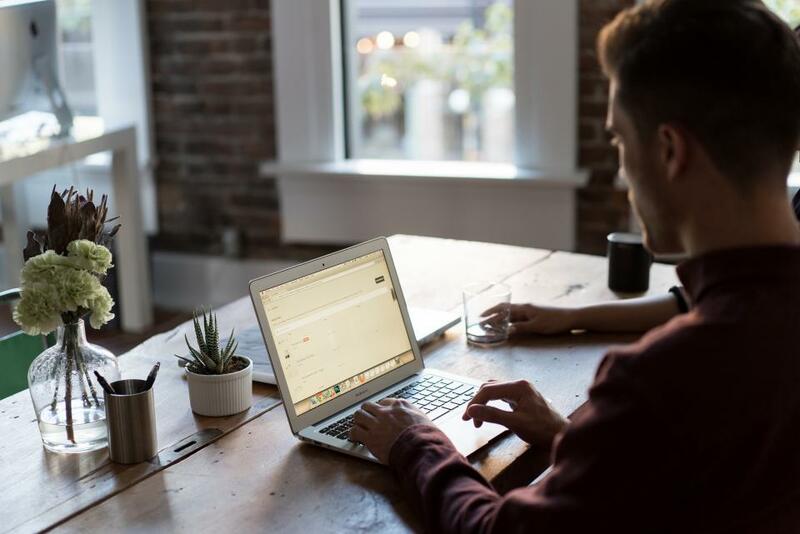 The Small Business Administration (@SBAgov) has an easy-to-follow guide on registering yourself as a self-employed freelancer here for US bloggers. Work with an accountant. This will help ensure you don’t miss anything and end up owing more taxes. Develop a basic understanding of what taxes you need to pay and keep track. Pay your estimated taxes quarterly. Your accountant can help with this. Make sure your accountant understands how your business works. Find out which expenses you can write off. Last year, I bought a new tablet strictly for work purposes and was able to write it off completely. I hope this guide helps you on your blogging journey. I have so enjoyed this opportunity to work from home and be here for my kids when they need me. One last word of wisdom before we close: remember that Rome wasn’t built in a day — your blog will require time to build up a following and begin making money, so don’t be discouraged. Let us know what you think in the comments, and don’t forget to share. What about taxation for Indian bloggers? The Budget Diet is all about showing you budget friendly yummy recipes and life hacks that shrinks your budget and earns you money. It’s not just a diet for your wallet…but for your waistline too.